Among the guests at Napoleon’s Point Breeze birthday party in Napoleon in America are Commodore Charles Stewart and his wife Delia, neighbours of Napoleon’s brother Joseph. Stewart was a national hero – the commander of the USS Constitution (“Old Ironsides”) during the War of 1812. Delia was the belle of Boston, with a talent for spending other people’s money. They had one of the worst marriages in early 19th-century America. Charles Stewart was born on July 28, 1778 in Philadelphia, to Irish parents. When Stewart was two years old, his father died. His mother married a local merchant and ship owner who introduced young Charles to George Washington, something that apparently made quite an impression on the boy. He also ensured that Stewart received a decent education at the Episcopal Academy in Philadelphia. When he was 13, Stewart began working as a cabin boy on a merchant ship that sailed to the West Indies. Four years later, he had command of his own ship – a merchantman that traveled to the Far East. At age 19, Stewart joined the US Navy as a lieutenant. Stewart served in the Quasi-War against France and in the First Barbary War. During the War of 1812, he commanded several vessels, most notably the USS Constitution, otherwise known as “Old Ironsides.” Under Stewart’s command, on February 20, 1815, the Constitution captured the British warships HMS Cyane and HMS Levant, propelling Stewart to stardom. In 1807, at the age of 20, Delia traveled to Europe, hoping to find a wealthy and well-connected husband. She spent lavishly, moved in fashionable society, and was presented at Napoleon’s court, but did not succeed in marrying. When, in 1812, her brother compelled her to return to Boston due to lack of funds, she was miserable and let everyone know it. Her brother told her the only way to improve her situation was to wed.
Charles Stewart was introduced to Delia as a “very able and gallant officer, holding high rank in the service, as a man of more than common ability, and at the same time very rich.” (2) Unfortunately she “felt a repugnance” toward him. Her brother, seeing no other prospect for his sister, talked up Stewart’s wealth, generosity and station in society. Eventually Delia allowed Stewart to court her. They were married on November 25, 1813 at Trinity Church in Boston. “Never was a match more ill assorted,” wrote her brother-in-law. Stewart, possessed of great nautical skill, showed great judgment and determination in command, but he was sensual, fond of gaming and of convivial company, retaining the feelings of the forecastle from which he had been elevated, and neither knowing nor caring anything for the accomplishments of polished life. They quarreled on their wedding night and things went downhill from there. Though Stewart had made a modest fortune as a merchantman between the wars, his bank account could not keep pace with Delia’s spending. Hoping to remove his wife from the financial demands of high society, Stewart in 1815 bought a 225-acre estate called Montpelier in Bordentown, New Jersey (the house later became known as “Old Ironsides”). Their children Delia (born in 1816) and Charles (1818) were born there. A third child died shortly after birth. 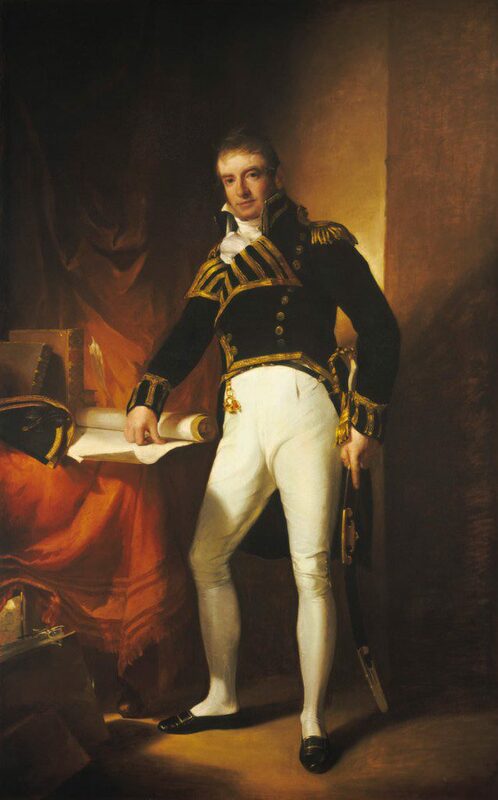 In 1817, President James Monroe picked Stewart to command the US Mediterranean Squadron. The income Stewart left Delia in his absence was not sufficient to satisfy her tastes, so she began to sell his furniture and other items of value. She found life in Bordentown dull and lonely. Delia became a frequent guest at the home of her neighbour, Joseph Bonaparte, from whom she also borrowed money. Stewart had his officers keep track of the money his wife owed, and he diligently repaid her debts. If this had been the worst of it, their marriage might have survived. However, probably due more to lack of judgement than to malice, in the summer of 1822 Delia smuggled a stowaway aboard the Franklin. She met the man, who called himself Madrid or Valdes, in the Peruvian port of Callao, which was under the control of the Patriots – the forces fighting for independence from Spain. Bearing a letter from one of Delia’s friends in Lima, Madrid told Delia he had been a passenger on a ship from Rio de Janeiro, which had been taken by a Patriot cruiser. Without a passport, he faced imprisonment. Delia took pity on him, helped him sneak onto the ship, and ordered her husband’s steward to take care of him. Though several of the officers learned of Madrid’s presence, no one told Stewart about him. When the ship reached Quilca, further south on the Peruvian coast and still under Spanish control, Madrid slipped out one of the portholes and disappeared onshore. About a year later, when the Franklin again called at Callao (of which the Spanish had regained possession), Madrid appeared on the ship in a Spanish uniform, accompanying the captain of the port, and asked to speak to Delia. A member of the crew recognized him, and Stewart found out what had happened. He was furious. In accordance with official US policy, Stewart’s instructions were to remain strictly neutral in the conflict between Spain and her colonies. The Franklin arrived in New York on August 29, 1824. In December Stewart met with John Quincy Adams, who advised him he would have to face a court-martial to clear his name of the charge of having carried a Spanish spy aboard his ship, as well as some lesser charges. There were rumours that Delia had accepted a bribe from, or been in love with, the spy. 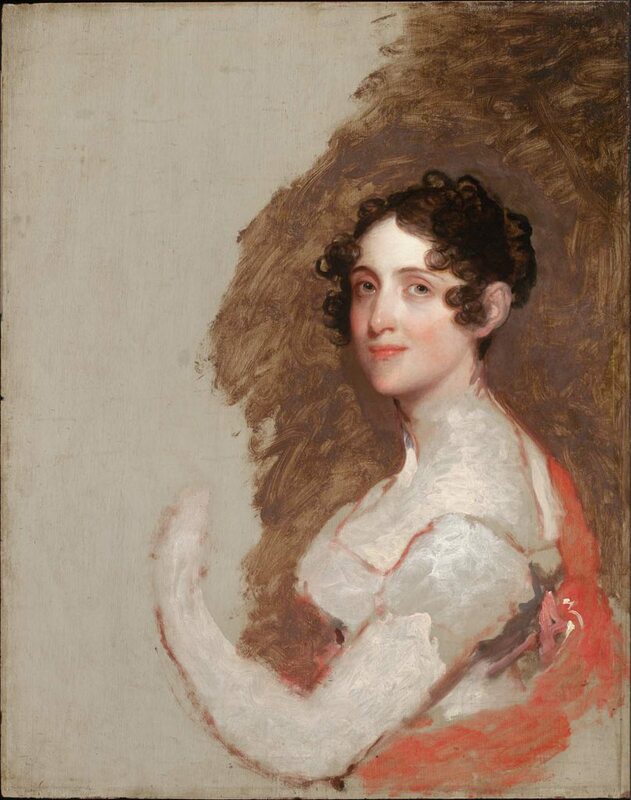 Though encouraged by her family to go and support her husband, Delia remained in Bordentown for the whole 12 months that Stewart was in Washington preparing for his trial. She did not visit him and did not give the children an opportunity to see him. She refused even to answer Stewart’s appeals for an explanation of particular details raised by the case. The court-martial convened on August 18, 1825 and concluded on September 5. Stewart was honorably acquitted of all charges, but was thoroughly embarrassed. In 1829, Delia finally accepted the terms of the divorce: their daughter would remain with her; their son would stay with Stewart. Stewart would pay all of Delia’s debts incurred prior to 1825 and would pay her $800 per year. Delia took take up residence at her mother’s home in Washington, near Lafayette Square. She continued to call herself Mrs. Commodore Stewart. On May 31, 1835, in New York, Charles and Delia Stewart’s daughter Delia married John Parnell of Ireland. Delia Stewart Parnell became the mother of the Irish nationalist political leader Charles Stewart Parnell. Delia Stewart later went to Ireland to be with her daughter. She died in Dublin on September 7, 1861, age 74. Charles Stewart was without orders for five years after the court-martial. Around 1827 he began a long-term relationship with a woman named Margaret Smith, who moved into Montpelier and with whom he had a son, Edward Livingston Smith (he later assumed his father’s last name). From 1830 to 1833, Stewart served on the Board of Navy Commissioners, the principal advisory body to the Navy Secretary. In 1837 he returned briefly to active duty as commander of the USS Pennsylvania, America’s largest sailing man of war. In 1840 he was suggested as a possible Democratic candidate for the presidency. In addition to serving in various advisory capacities to the Navy, Commodore Stewart was eventually given command of the Philadelphia Navy Yard. It was from this post that he retired in 1861 at the age of 83. In 1862, he was promoted to Rear Admiral on the retired list. In the years between his commissions Stewart turned to farming, though he did not have much success at it. He was so annoyed at his neighbours’ pigs overrunning his fields and turnip patches that he threatened to shoot every trespassing porker, a sentence he grimly carried out. Charles Stewart died in Bordentown on November 6, 1869 at the age of 91. His funeral was the largest Philadelphia had ever seen. He is buried at Woodlands Cemetery in Philadelphia. Robert Hallowell Gardiner, Early Recollections of Robert Hallowell Gardiner, 1782-1864 (Hallowell, ME, 1936), p. 167. Autobiography of Rear Admiral Charles Wilkes, U.S. Navy, 1798-1877, edited by William James Morgan, David B. Tyler, Joye L. Leonhart, Mary F. Loughlin (Washington, 1978), pp. 114-115. Early Recollections of Robert Hallowell Gardiner, p. 172. Autobiography of Rear Admiral Charles Wilkes, pp. 165-166. Early Recollections of Robert Hallowell Gardiner, p. 176. “Old Ironsides,” Hours at Home, Vol. 10 (March 1870), p. 474. The most interesting story. I thoroughly enjoyed it. Since I am Irish found that very interesting never knew the story. Thanks. I’m glad you enjoyed it. We have been passing this compelling piece around my family via the web. Thank you! Delia’s brother Frederick Tudor was my great-great-great grandfather, and there are family stories about how difficult all the Tudors were, so this is just fascinating. 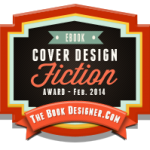 I look forward for following your work! Thank you, Sarah. I’m so glad you liked the post. If you haven’t already done so, I would highly recommend reading the Early Recollections of Robert Hallowell Gardiner. Gardiner was Delia’s and Frederick’s (spelled Frederic in his book) brother-in-law, and he provides lots of interesting anecdotes about the Tudors. You can read it for free on the HathiTrust Digital Library: http://babel.hathitrust.org/cgi/pt?id=wu.89064413909;view=1up;seq=1. Captain Stewart’s biography is fascinating, but remarkably there is no mention that the brother who more or less forced Delia’s marriage was Frederick Tudor. He is considered to be the man responsible for the American ice trade which became a multi million industry in America. See Gavin Weightman, “The Frozen Water Trade”. The Parnell connection was something new to me. Put them all together this would make an epic story. Really enjoyed this. Love discovering new information and connections. Thanks, Sean. Glad you enjoyed the post. It’s great to have the additional information about Delia’s brother Frederick. The human stories behind the events are always the most fascinating thing about the events. In this case Stewart consulted President John Quincy Adams. Hard to believe that he would go that far to clear his name. Times have changed. 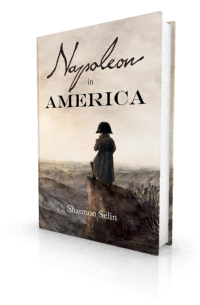 Congratulations on “Napoleon in America”. Love your stories. Thanks, Vince. So glad you’re enjoying the blog. Just came across this interesting story of Commodore Charles Stewart. I was drawn to it as my Grandfather’s name was Charles Stewart Parnell and he lived in the NYC area . Not sure if there is any relation. I don’t know whether there is any relation, Kathleen. According to this message board, Charles Stewart’s grandson Charles Stewart Parnell (1846-1891) had only daughters, so it’s unlikely any of them carried on the Parnell surname: http://www.politics.ie/forum/history/92233-parnells-only-grandson-assheton.html. Perhaps some of C.S.P.’s siblings did. You can try clicking through the links here and see if you recognize any of the names: http://www.thepeerage.com/p24735.htm#i247345. What a splendid post – fascinating! And the link to Charles Stewart Parnell is amazing. This blog is fantastic. Keep at it. Stewart ... was sensual, fond of gaming and of convivial company, ... neither knowing nor caring anything for the accomplishments of polished life. [Delia], with a cold temperament and indifferent to the pleasures of the table, placed her happiness in shining in society.